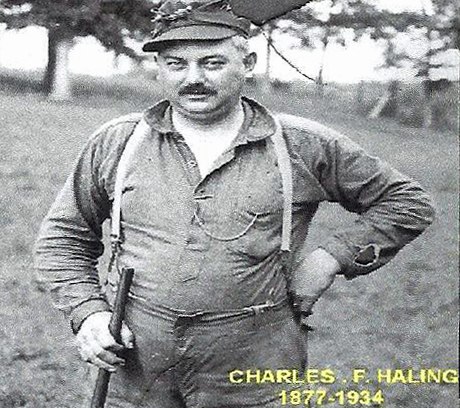 Haling's Resort was started in 1920 by Charles F. Haling, Charles died in 1934. His son Charles W. Haling took over the operation of the resort at that time and he ran the resort until his death In June 1988. Haling's, resort is presently owned by Charles A. Haling & being operated by John & Maureen Haling, the fourth generation of the Haling family to oversee the facility. The Haling’s came from Chicago when Charlie was 15 years old and helped his father start the business. Charlie was known by many people as one of the great historians and story tellers of the Chain. Milwaukee Road was a gravel road all the way out in those days. Half Day was appropriately named during that time because it would take many travelers coming to the Chain area one-half day to get that far. Everything was lit by kerosene lamps water hand pumps and outhouses were in use. Formal education stopped for Charlie when he left the city, “All you need is a gun and a fishing pole, his father told him, "and I'll make you into a guide." The hotel was above the tavern until the mid-1930’s when it was damaged by fire and never reopened, but was · renovated instead into living quarters. The Haling’s four children were born and raised there. The resort business in the 1920’s till the mid 1940’s was more keyed to the natural use of the water fishing and hunting and of course sightseeing of the beautiful lotus beds. Many of the resorts of the Chain had hotels or other living accommodations where people would come for a day, a week or more. A typical season at Haling's Resort, started in the spring through the summer, would be fishing, swimming and, of course, Just relaxing in the pleasant atmosphere and conditions. Charlie had more than 40 fishing boats and motors were included in the $18 per week charge. Then when mid-August arrived through September so would the beautiful lotus flower beds. The Halings had a special touring channel and touring boats to take visitors through the beds. With October, the great duck and geese season started on the Chain, from 1920 until 1940, Charlie would rent 10 blinds per year from property now part of the Chain 0' lakesState Park. This number of blinds was possible at that time because many were in swamp areas which are dry now. There was always an early bunter's breakfast available at the resort. Then Charlie would take his hunters out to their blinds or shooting spots in his 25’ launch. Grass lake at that time was full of vegetation and feed which would draw the water fowl to the area in much more greater numbers than today. 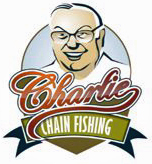 Charlie's early usage of fishing boats led him into starting a marina with Johnson Motors in 1935. This then led to handling small Uma fishing boats for customers who wanted their own. From these humble beginning has grown to where now the Haling Resort also has a complete marine and service shop that has won many awards from Johnson/Evinrude. Designed by Professional Education Designs, inc.